The effects of nearly a century of commercial whaling have had long-lasting effects. Luckily, a 1986 ban made commercial whaling illegal worldwide. 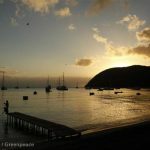 But there is still work to be done to save the whales. 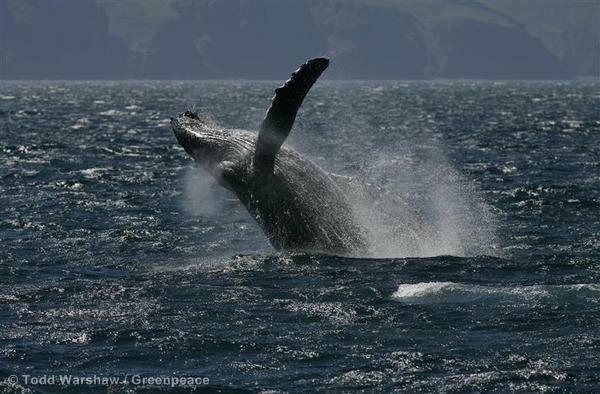 A humpback whale is breeching in the Gulf of Alaska during the Greenpeace USA Bering Sea expedition. A few countries — namely Japan, Norway, and Iceland — continue to ignore a 1986 moratorium on commercial whaling. Every year, these three countries kill thousands of whales, selling their meat on an illegal black market. For more than 40 years we’ve been at the forefront of this evolving fight to end this needless slaughter of one the most magnificent creatures on the planet. 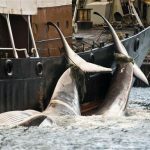 Hold our government accountable for closing the loopholes in international agreements and ending all commercial whaling. Persuading many of the countries currently voting with Japan to overturn the commercial whaling moratorium to reconsider their approach and instead vote to protect whales. Continue exposing Japan’s black-market whale meat trade — which is both unpopular and uneconomical — to create a public discussion in the Japanese media about the future of whaling. 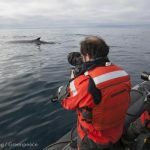 In 1986, a moratorium was put in place to halt commercial whaling — completely separate from subsistence whaling or cultural traditions — and help dwindling whale populations recover. 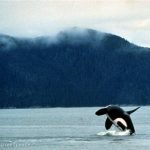 But 25 years later, the fight to end commercial whaling once and for all is not over. Japan, Iceland, and Norway all continue to hunt whales while the authorities turn a blind eye to the slaughter. Whaling was rampant for so long that many species may never recover. In the United States, the North Atlantic right whale has a lonely population of about 350. The blue whales of the Antarctic are at less than 1 percent of their original abundance. West Pacific grey whale populations are the most endangered of the world’s great whales, hovering on the edge of extinction with just over 100 remaining. Endangered whales have many obstacles to face today — global warming, pollution, ocean acidification, noise and ship strikes, just to name a few. 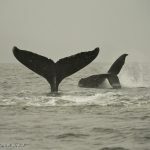 Overfishing threatens their food supply and hundreds of whales are entangled in fishing gear every year. We’re not backing down in our efforts to protect whales until this shameful and unnecessary slaughter has been stopped and whales can once again roam the seas in freedom. Are you with us? 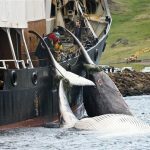 Iceland is one of the last countries to allow commercial whaling. Now its most notorious whaler has been caught hunting endangered fin whales once again.